Welcome to the world of bears with these fun printable activity sheets for kids from Disneynature Bears. Alaskan animal games and more! Click the image below to download the Bears printable activity sheets for kids. 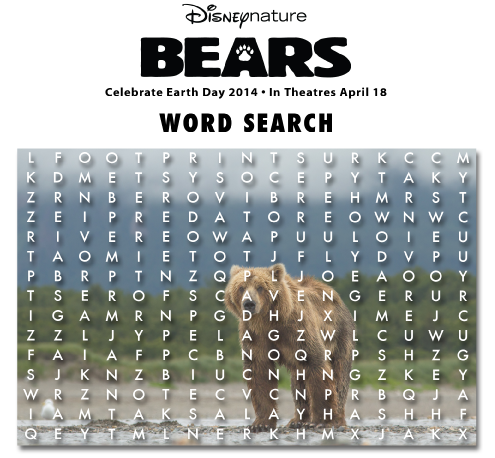 Disneynature Bears is in theaters Friday, April 18th! Check out our Disneynature Bears movie review! Aww, I might go and see this. I had no idea this was an upcoming(now released) movie.